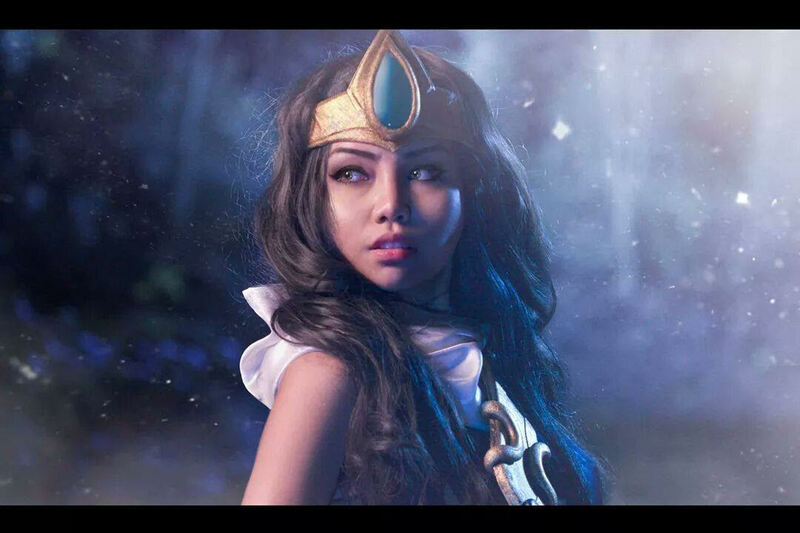 “I started getting into cosplay probably around 2008 but I never really cosplayed until 2012. I would always be online looking at cosplay from my favorite games, movies, and anime so I got the gist of it but I never thought of doing myself. I had no idea how to make anything and I had no friends at the time because I just moved to LA. But I eventually went to film school for 3D animation and visual effects and met a lot of great people! I mentioned that I wanted to attend Anime Expo that year and one of my friends asked me if I cosplayed. There was a prop making shop at school and they offered to make me something if I cosplayed! I was really excited about it so I jumped at the opportunity and made my cosplay whilst they made the gun. Yoko Littner from Gurren Lagann was the first ever cosplay I made. Ever since that day, I’ve loved cosplaying and crafting! I generally make my own things because I want my cosplay to fit properly even though it may not look accurate. My cosplay crafting and sewing skills have improved over time but I couldn’t have gotten here without help. When you make the cosplay yourself, you learn how to make something, what kind of materials you’re supposed to use and how to use them. I want to learn how things are made and if I can make it myself, then I would much rather do that. Having friends in the cosplay scene helps a lot because they give you tips and pointers on how to make something. Recently, I’ve really enjoyed working with foam! It’s light and the durability is alright. I’ve used worbla and wonderflex but it gets heavy after wearing if only for a few hours. The painting process is probably my favorite part of making something. Getting to put all the detail in it is fun and relaxing to me. My creative process starts with Google. Collecting references and making a list of the materials I need to make it is very important to be. It’s really difficult to make something if there’s little to no reference photos unless it’s an original piece. After I’ve made a list of things I need, I go purchase them at a local store. I prefer driving to stores than ordering stuff online unless I can only get it online like contact lenses. When I get the materials, I start to make blueprints or stencils of the prop or armor that I need to make. Making armor and props first are my priority because they take longer to finish since you have to wait for the paint to dry. If I need to sew anything, I do that while I’m waiting for paint to dry so I don’t waste any time. Then I finish everything else like wig styling and make up tests including colored nails and contacts. I’ve got to try out everything before the con or shoot to test it out to see if everything looks right and is easy to move in. My creative space…uggghhh…I make my cosplays all over the place depending on what I need to get done. I go to friend #1 to make props and paint, friend #2 for sewing and so on. I feel like it’s easier for me to make something if someone is there with me doing the same thing whether it may be sewing or prop making. With a partner, you can share knowledge on how to make something and it’s nice to talk to someone to keep you sane during the process. Playing music in the background also helps a lot because it sets the mood. Lively music always gets you going and makes you feel energized! If I get stuck in a creative block, stepping outside for a little bit helps. Sometimes, you just have to walk away from what you’re doing and relax. Clearing your mind before going back into the chaos works wonders… Or food…. food is the best. The length of each piece really depends on how complicated it is; that’s why I do props and armor first because they’re complicated to make. Something really intricate could take days or even weeks to finish. You have to be smart about how you’re going to make your cosplay. Time management is key! My most favorite cosplay right now is Bullet from Blazblue! She’s the most recent one I’ve done and I love her~! I made this cosplay for WonderCon 2015. I’m really happy with how it turned out but there’s always room to improve. I made her arm props, shoe accessories and belt buckle from a combination of EVA foam and L200 and the spikes were made out of worbla. I did sew the top myself but the blazer and shorts where bought and altered just because I was running out of time. My favorite fighting game of all time is Tekken! I would love to cosplay the new character, Josie Rizal. She’s one of the newest additions to Tekken 7 and when I first saw her, I needed to cosplay her! I am really excited about that. I also want to someday cosplay Lambda from Blazblue but I feel like my skill level isn’t up to par just yet because I have no idea how to make myself look like I’m floating. The struggle is real. I admire any cosplayer who takes the time to make their own cosplay regardless of how it turned out. Cosplayers receive a lot of criticism may it be positive or negative, whether it is liked or not. You need to keep moving forward simply because you love what you’re doing and admiration is enough to keep going. Tips for people wanting to cosplay: keep your head high and just love what you do. The more you cosplay, the more you’ll get noticed by the community. Don’t be afraid to ask for help if you need it and ignore haters. If you’re doing it just for the sake of doing it, then that’s amazing! If you’re doing it because you want to show everyone your talent and fandom, then learn to network and use social media to your advantage! Work hard and don’t stop until you reach the finish line. Surround yourself in a positive and productive environment and if you’re making something yourself, learn the differences between each material so your prop will hold up if the weather gets too cold or too hot. Also, WEAR GLOVES when you paint. I keep forgetting to wear them and I have such a hard time trying to get paint off my hands, lol. Thank you again for your time, Mizzi and thanks for stopping by! If you want to stay updated on more Gamer Compatible reviews, you can follow us on Twitter: @gamercompatible or on Facebook: @gamercompatible. This entry was posted in Cosplay, Interviews and tagged anime, cosplay, crafting, eva foam, expo, family, foam, friends, gloves, sewing, skills, spotlight, tekken, tips. Bookmark the permalink.